As the prepping movement has grown, it has changed as well. Preppers, especially more experienced preppers, are expanding their ideas about what it takes to be prepared. They are learning new skills and becoming more self-sufficient. Some are even buying land out in the countryside and starting homesteads; returning in many ways to the lives of our great-grandparents. There are two terms which are bandied about the prepping movement and there seems to be a bit of confusion about the difference between the two of them. These are the words “prepper” and “survivalist”. To many people, the two terms are pretty much synonymous; but in fact, there is a true difference between the two. The difference, not surprisingly, is in how they focus on the problem of surviving a disaster. Back when I got started in all this, there was no such thing as a prepper. We were all survivalists. We made plans for getting out of Dodge (bugging out) if Washington ever pushed the button and tried to learn the necessary skills for surviving in the wilderness and rebuilding some semblance of society. When I first became aware of prepping, I saw a distinct difference from the survivalist mentality I had known. Most preppers aren’t really focused on bugging-out, but rather on bugging-in. Their survival philosophy is based upon having the equipment and supplies to make sure they can make it, even if the rest of society collapses. They stockpile supplies and work towards getting off-the-grid, so that even if something catastrophic were to happen, they’d be able to survive. Even preppers who were planning on bugging-out held to the same basic prepper mentality. They would prepare their stockpiles as well, only they’d have the stockpile at their prepared bug-out retreat. They wouldn’t be planning on living off the wild, more like “bugging-in” in an out-of-the-way location. Being a long-time survivalist, I quickly embraced the prepper mindset and started building my stockpile; even though I didn’t give up any of my woodcraft skills. But as time has gone on, I’ve seen more and more preppers adopt more of a survivalist mentality. Mostly, these are people who have been preppers a while and already have a fairly good stockpile on hand. As they continue in their preparations, they seek to learn more skills, so that they can survive, even without all those supplies. Some preppers are building bug-out retreats, much like the survivalists of old did. Others are building bunkers under their homes; once again, copying the survivalists I knew. Actually, this is a sensible progression. True survival requires skills, knowledge, supplies and equipment. The more of any of those you have, the better your chances of survival. Just being a prepper isn’t the final answer, nor is just being a survivalist. Combining the two strategies together and becoming a survivalist prepper makes the most sense of all. As the prepping movement continues to grow, I think we’ll see more and more preppers morphing into survivalist preppers. These people will have their homes ready for surviving, a prepared bug-out location ready for any emergency and the necessary skills that they can get by without either of the two. When a crisis comes, the survivalist prepper will have a leg up on any and all others, including either preppers or survivalists. Join our mailing list to receive the latest survival tips, product/gear reviews and your own FREE Bug Out Bag Checklist! 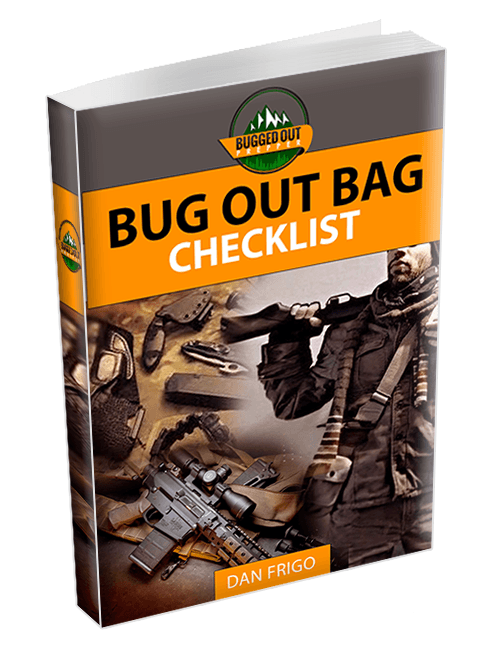 You have successfully subscribed, now go check your email to confirm and receive your free bug out bag checklist!